Filmmakers! We are only a little over a month away from the SXSW Film Early Submission Deadline on August 23. Before you submit your feature film to the SXSW Film Festival, be sure to take a look at our guidelines below to ensure your film is eligible for SXSW and check out the Film Submissions page for deadlines and fees. Your film must be over 40 minutes in length. If your feature film HAS NOT screened in Austin, Texas, and has NEVER been available online or broadcast you are eligible to submit to SXSW. For more information about premiere status and eligibility click here. Your project must have been completed in 2017, 2018 or be on track for completion in early 2019. SXSW does not accept trailers or rough assemblies, but will accept work-in-progress cuts (picture lock with temp sound, color, etc.) Please be aware SXSW will not screen multiple updates/versions of your film for programming consideration. Please submit your application when you are ready to send your film in the most complete and finished form possible, as we will only watch the first cut submitted. All feature-length films must be submitted via a secure URL link. Please note, if you change this link or any of your login information prior to March 2019 without contacting SXSW your film may become ineligible for consideration. 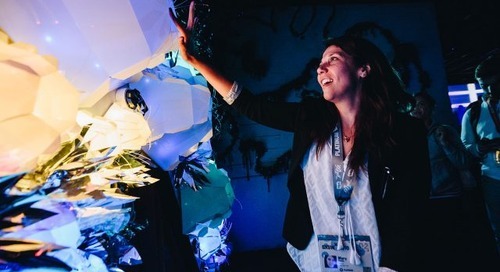 The 2018 SXSW Film Festival marked the 25th edition of the festival, click here to get inspired and read stories from our film alumni! For specific questions about submitting your film, look no further than our Film Submissions FAQ. Still have questions? Don’t hesitate to email filmfest@sxsw.com. Once you have submitted, you will receive a confirmation email from SXSW within 48 hours. This email will confirm that your film has been submitted correctly. If you do not receive this email within 48 hours, you should follow up by email (filmfest@sxsw.com) to ensure your film has been submitted properly and is under consideration. Mark your calendars for August 1 when registration and housing opens for the 2019 SXSW season. In the meantime, get inspired by previous Keynotes, Featured Sessions, Red Carpets, and Q&A’s on our YouTube Channel. The post Guide to Submitting a Feature Film to the 2019 SXSW Film Festival appeared first on SXSW.